Here I am again in the PET scan room (written at 6:30am), waiting the 2 hours until the contrast they injected me with makes its way through my body so they can detect any cancer cells floating around. Am I afraid? Of course. Not so much for the test. this is probably my 10th or 11th scan in three years so I’m used to lying still with metal hovering just inches over my face and body. No, I’m always scared to hear the results (they haven’t exactly been positive most of the time). I also am seeing my laryngologist this week and that scares me too. Mostly because I don’t really want to know how close or non-functional my vocal cords are. After cancer, I don’t really trust my body. Before each diagnosis, I have felt great (minus an occasional sore throat). I would love to rejoice each time I get clean results or good news, but even when/if I do I am hesitant and suspicious. Will I ever get that trust back? I doubt it. Will I let it control me and take away my joy? I won’t let it. Yes, I believe the fear of cancer coming back will always be there, but even if I don’t trust my body, I will always trust in God who created it and has a perfect plan for me. All of us have our hesitations and fears but there are many things we cannot control. happiness is based on our outside circumstances but joy comes from within, from trusting our Creator has a plan although it may be different from ours. 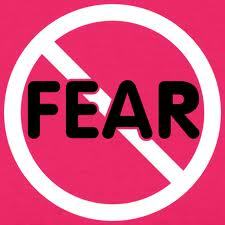 Fear is ok but don’t give it the power to control you and rob your joy. Life is for the living! I’m not wearing any metal for my PET scan, but one thing I am wearing is Bobbi Brown Treatment Lipshine in Rosy . It’s a gorgeous warm pinky brown color that looks great on ALL skintones, not quite a full on lipstick, but also not quite just a lip gloss. One thing I’ve learned is to live for today and today I choose to have a Rosy outlook on life!